Strong storms turn deadly, CMPD officer makes a mother's day, Hornets sign a future hall of famer. Strong storms rolled through the Carolina's Friday evening bringing heavy winds, high winds and thousands of power outages. At one point over 13,000 Duke Energy customers were without power in Mecklenburg County. The storms also brought flash flooding to places like South Park where calls stalled out in high water. Officials are reminding people that if you encounter a flooded roadway, turn around and don't drown. The strong storms Friday night took a deadly turn when a tree fell on the car of Sidney Albright, 78, killing him and injuring the two passengers in his car. Albright was leaving Green Mountain Park when the tree fell and was pronounced dead on the scene. The two passengers in his car were transported to a local hospital with minor injuries and are expected to make a full recovery. A Charlotte-Mecklenburg Police officer was injured Friday when a car pulled out infront of his motorcycle causing a collision just north of uptown. Police charged the driver, Lamonda Sloan, 27, with several charges including driving with a revoked license and a fictitious license plate. The officer was transported to CMC-Main with non-life threatening injuries and is expected to make a full recovery. A Charlotte mother was moved to tears when a CMPD officer came and sat down to talk with her daughter. Cindy Fredrick wanted the officer to talk with her daughter, who has autism so that she would not fear the police if she was ever in trouble. 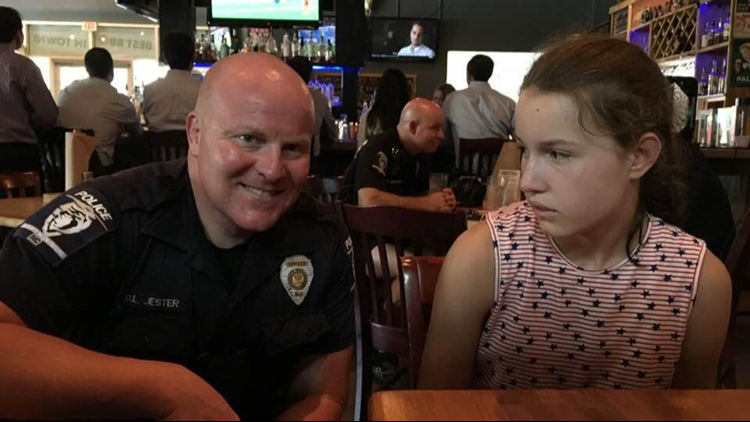 The officer took a picture with her daughter and then other CMPD officers went out of their way to pay for the family's meal at the restaurant. The mother was overwhelmed "They were extremely kind and compassionate," Fredrick said. The Hornets have signed future Hall of Fame point guard Tony Parker to a 2-year, $10 million contract. Parker, 36, spent his first 17 seasons in the league with the San Antonio Spurs helping the franchise win four NBA Championships. Parker, averaged just 7.7 points per game in 2017-18. He is expected to backup starting point guard Kemba Walker.